My name is Michael Scott and I’m the editor of Urban Engagement Webcity. It gives me great pleasure to announce the relaunch of this virtual blog featuring emerging trends on urban environments, cities and people. Lots has happened since my last post in 2011. I’ve endured a divorce, mass exodus of friendships, near financial ruin, as well as a blinding flash of new life perspectives as a result of turning 50. My decision to reignite this virtual blog is in large part due to the prompting of readers who, like me, have a deep fascination with the social and economic dynamics of cities. It will include a fresh new format which integrates more short feature stories infused with compelling audio and video links. We’ll include more picture galleries, book reviews, and edgy first person accounts that appeal to a wide demographic audience. So subscribe today to stay abreast of the newest and the latest urban trends impacting our cities. Or watch for our posts on Facebook and Google+. Recently I had the opportunity to interview center city expert Jamie Licko to glean her thoughts on the future of downtowns. 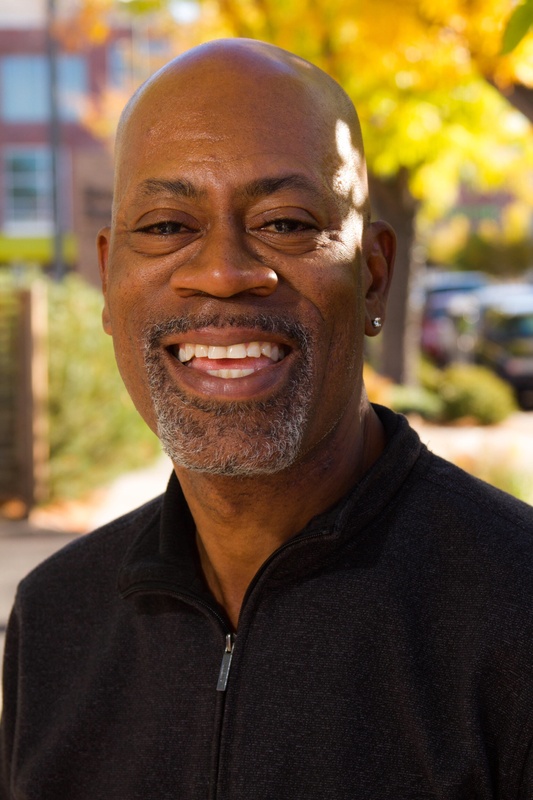 Jamie is the founder and president of Denver based consulting firm Centro. 1. By all accounts there has been a resurgence of interest in downtowns as places to work, live and play? What sorts of factors are driving this? I think there are a couple of trends driving this, one financial and one demographic. On the financial side, the recession was a wake up call to Americans that living big isn’t sustainable. Sprawl, big houses, big cars, big commutes… these things all costs big money. Center city living provides an alternative to this. If you live in or around downtown, you have access to amenities and resources that are extraordinary, but that can be reached on foot, by bike, by bus, by streetcar, by lightrail. It’s a more sustainable form of living, economically and in many other ways too. As we all learn to downsize and live within our means, city center life gives us a chance to still have all that we want and need, but in a more sustainable way. The other trend is simply demographics. We now know that baby boomers are taking to downtown life… they like the active, social lifestyles that downtowns allow. To the Boomer generation, downtowns provide a social return to the past. There is activity and life and people on the streets. There is easy access to activities and goods. I think the other trend driving the downtown and urban neighborhood resurgence is the Millenial or Gen Y generation. They are nearly equal in number to the Boomers and they are ushering in a new way of thinking that is conducive to what downtowns offer. These individuals are global thinkers. They’ve been raised in a multi-cultural society and have had access to the world via technology since the day they were born. They think big and dream big. And they don’t follow the rules. They are creating their own ventures, dreaming their own dreams, starting companies and driving brands. Perhaps most importantly, they crave authenticity. This is a group that shuns, and will continue to, big box retail, sprawl, suburbia, and anything mass produced. They look for places that are real, and gritty, and have a story to tell. 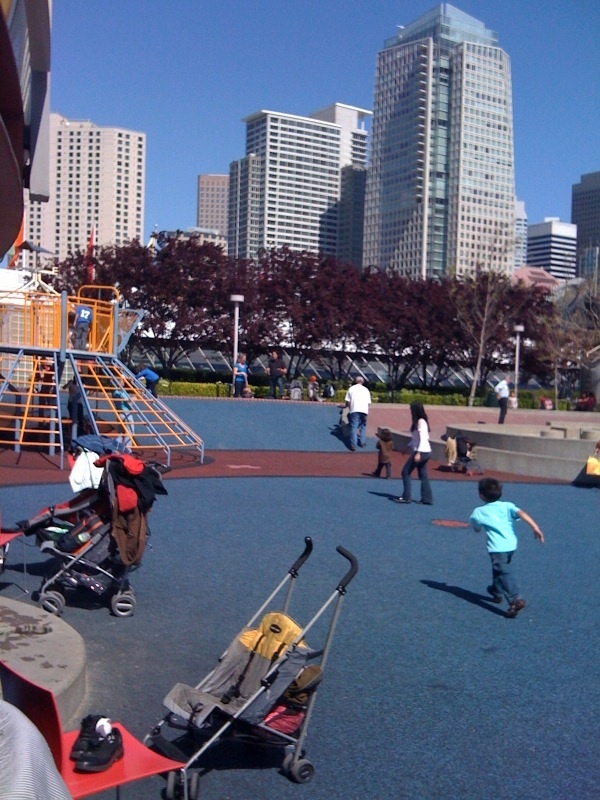 In our cities, only our downtowns and urban neighborhoods can truly serve these needs. 2. Despite the social and cultural amenities offered in many of our nations center cities, many residents in outlying suburban area seems reticent about venturing into urban core to enjoy its advantages. What sorts of misconception come into play here and how can they be overcome? You know, I do a lot of research and surveys and forums as part of my work, and regardless of where you are working (big city or small town) there is always a group of people who say they will never come downtown voluntarily. And their reasons are very consistent: they see cities as dirty and crime-ridden and a parking nightmare. Their perception is that the hassles downtowns offer aren’t worth what’s there. And to be honest, these people rarely know what tremendous value our downtowns boast. So there are a couple thoughts I have to this question. First, there is always going to be a core group of people who will never be convinced of downtown’s value. For a variety of reasons, downtown just doesn’t offer what that group of folks needs and wants. And that’s okay. I, for example, love cities and downtowns and could never imagine living in suburbia. And many in suburbia feel the same about cities and downtowns. That part is sociological and perhaps psychological too. I think getting people to our cities means we have to tell the story of our downtowns. We have to invite people into our downtowns. We have to give them compelling reasons to come. We have to serve a variety of markets and make sure our downtowns are designed for people of all demographics. This is one place where I think downtown management organizations such as Business Improvement Districts (BIDs) have really excelled. While there are always lots of issues to address in a city, sometimes the biggest is perception. If you can use marketing, public relations and perhaps more than anything else special events to break down those perception barriers, it’s the first step to getting people there and overcoming those perceptions. The second challenge is delivering on an experience once they arrive. Our cities need to be user friendly. They need extraordinary signage, accessible parking (and a friendly customer service experience), they need a strong visual landscape (flowers, trees, colorful banners and art) and they need a place people perceive as clean and safe (no litter, great lighting, etc.). You can’t change everybody’s mind, but if we want to change habits, we need to make a compelling case for them to come, and then we need to make them feel welcome once they arrive. 3. The Business Improvement District (BID) concept is a popular one among many downtown leaders? What sorts of advantages are there for cities in establishing a BID, particularly with their efforts to rebound amid tough economic times? Well, in my response to the last question, I speak to the merits of a BID in their strength as a placemaking organization. BIDs have fundamentally changed our downtowns in that as somewhat of a microcosm of the city they can take downtown to the next level. Their autonomy and flexibility make them an extraordinary tool. Perhaps even more important is that because they are funded by downtown stakeholders who want to see a return on investment, they inherently unite disparate groups and ownership entities in an effort to work towards common goals. But I mentioned the BIDs flexibility and I think this is an important point. While BIDs really were created initially as clean, safe and marketing funding and management tools, increasingly they have ventured into the economic and community development realm. Many BIDs now have economic development and research arms within their organization, for example, that keep comprehensive tabs on downtown data (development, sales, vacancies, pedestrian traffic, etc.) 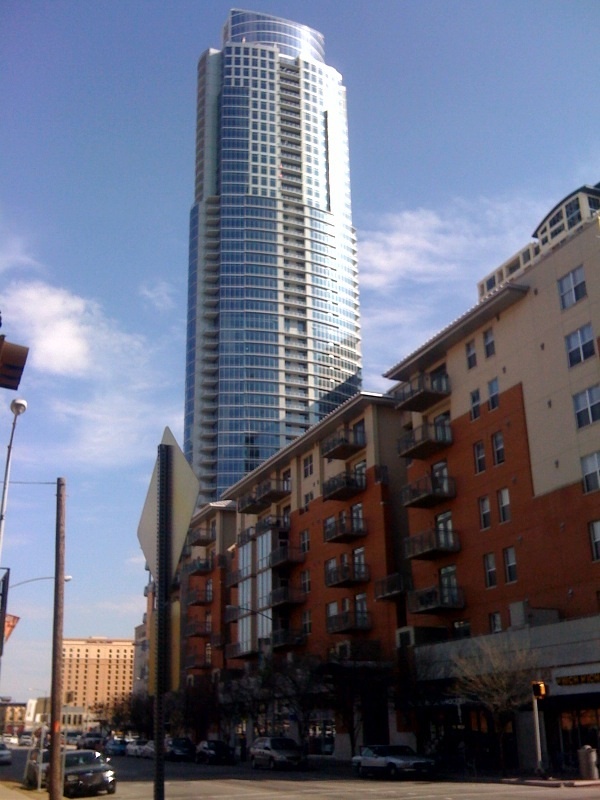 and package that information as a powerful sales and incentive tool for helping development and business occur downtown. But BIDs are also venturing into retail development efforts too, offering programs to incentivize the growth of local, independent retail in the city core. Increasingly BIDs are just one arm of a multi-faceted downtown organization that has lots of tools and resources it can bring to bear. One area that is growing and is expected to grow is in the creation of community development corporations (CDCs) that can help facilitate development of otherwise difficult projects, both by acquiring land and property and by offering start up loans and incentives to small businesses. 4. Can you identify a few cities that are uniquely poised to create prosperous, sustainable urban cores over the next ten years? What are they doing differently from cities that are languishing? I personally think all cities are going to have to rethink the way they do things to stay competitive in the next decade. We’ve come a long way in the last 10-20 years in making our cities cleaner, safer more welcoming places. But the emerging Millenial generation (and the generation behind it) are going to demand more. We need to be careful of gentrification, we need to make sure the local, indepedent businesses can afford to stay in our downtowns, we need to start integrating technology into everything we do (on this front, I think IBM’s Smart Cities initiative is critically important for all of us to get on board with) and we need to make sure we keep our cities “authentic” places. We need to guard against cities that offer the same chain stores on every corner. Our downtown leaders need to hold on to what is unique and real about the places they serve, and not veer from the path of sticking to authenticity. Cities who do these things, who invest in themselves and the things that make them real and unique, will succeed. You know who I actually think may become a leading community in doing things differently? Detroit. The city built on the automobile is in such dire straights that they are having to completely rethink how they do everything. I encourage you to read Time’s Detroit blog. They’ve purchased a houses in Detroit and have reporters living there telling some great stories. Not only are the people of Detroit looking at new ways to survive and thrive, but young people, smart young people, from all over the world are going there to try their hand at doing something out of the box in a place they can afford to do it. I think we need to keep on our eye on Detroit. I think we’ll see big things out of it. I’ve always believed that those places and people in the most dire of situations are the ones that end up being our leaders. They have to fight harder, and in that fight they generally have to find new and innovative ways to do things to succeed. 5. So what is the driving force behind your passion for cities? And what sort of contributions do you hope to offer to the center city movement? I grew up on an Iowa farm in a small town of 250 people. I was the sixth generation of my family to be born in this town. For six generations, my family had been involved in building a community they believed in. My earliest relatives were responsible for everything from platting the land, building bridges, running the post office and working for the railroad when it came through town. For a majority of the time I was growing up, my dad served as a council member and eventually as mayor. I was taught early to take pride in the “place” that I called home. I was taught to respect the land, and the environment and the amenities we were blessed to have. I was also taught that it takes lots of people working together, bringing to bear their unique talents, to make a place better. Without people and place, my childhood and my life today would be much different, I believe. The line between where I come from and where I am is not necessarily a straight one. My family rarely visited big cities when I was growing up and I never took great interest in them at a younger age. But somewhere along the line my belief in people and my passion in place led me to downtown. Perhaps its that I saw in a city’s downtown a microcosm of what I experienced growing up. Individuals, families trying to building something better, greater, different, unique and doing so in a way that respected the history of where the community began. I saw, in my downtown work, the power of uniting people. I traveled – the country and the world – and began to gain a tremendous appreciation of the city center as the space that defines a place. The Piazza San Marco in Venice is no different than Main Street in my small Iowa town. Both serve a need as gathering space, as the heart of the community, for the community they serve. My hope and goal in this work is that we never forget this core purpose of our downtowns. That we never forgo the goal of creating authentic and gritty and real places that serve as the heart of the community. That we remember that building great places isn’t about bricks and concrete, it’s about people. Our cities are our heart and our history. If we want to hold onto this (and I feel that, perhaps more than ever, it’s critical that we as humans do) we must fight for it. And we must continue to grow and evolve to meet the needs of both young and old, men and women, people of all races. That means bringing people together, listening, working together and building accessible, meaningful and real places. In the wake of lower paying jobs and higher out-of-pocket expenses, sadly many of us are discovering that our lifestyle expectations are now unsustainable. I attribute this trend to an unprecedented structural shift in our nation’s core economic system—one that requires us to recalibrate our standard of living. With soaring energy costs, increasing fuel expenses, pricey real estate and environmental concerns taking hold, many people seek to capitalize on the advantages of dense urban living—high mobility areas that allow them to cut their living expenses by living and working in close proximity. In light of these economic shifts we should take a hard look at the benefits of urban density in terms of creating a new model for cost-conscious living. A major catalyst for my thinking in this area comes from a report, which found that Bay Area residents spend an average of $41,420 annually on transportation and housing, amounting to 59% of the area’s median household income. Even more remarkable, 3/5 of all Bay Area residents live in communities unaffordable to households earning less than $80,000 annually. The key finding from this report, however, is that the combined costs of housing and transportation are lowest in the most densely populated sections of the region, namely in Alameda and San Francisco counties. This speaks to a concept called “location efficiency,” which is defined as the proximity of housing to transportation nodes, jobs, and retail centers. This so-called clustering demonstrates that urban density has an essential role in supporting a lower cost of living in our nation’s metropolitan regions. Bucking the suburban migratory pattern, early adapters to this economic shift choose to live in urban centers where cost-of-living advantages and conveniences abound. This very topic was the focus of a recent conversation I had with a friend in Boston, who builds her lifestyle around the area’s walkable grid. She touts the city’s compactness, which allows easy access to her job at Harvard University as well to local amenities in neighboring communities and downtown. And while being without a car has its disadvantages at times, she is quick to point out the cost-effectiveness, particularly in a city rich with mobility options. As my Boston friend attests, the core concept of urban density is “walkability,” which seeks to promote maximum accessibility in cities and communities. Designed efficiently walkable environs connect people with transportation centers, arts and entertainment venues, coffeehouses, libraries and other local and regional amenities in a manner that promotes cost-effective living. There is also evidence to suggest a correlation between more walkable neighborhoods and property values, thereby boosting homeowner return on investment. 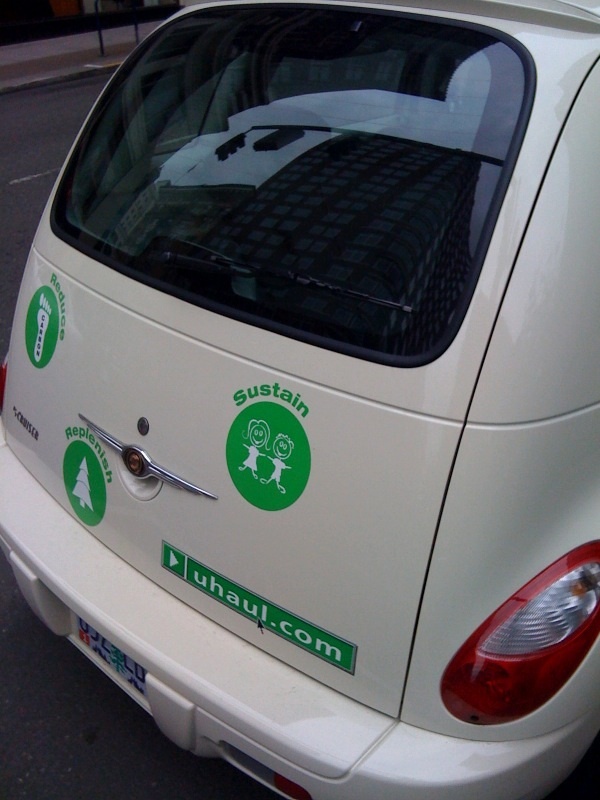 It is this sort of economical thinking that companies like Zipcar and uHaul hope to capitalize on by offering cost-conscious solutions to urban dwellers. Both offer hourly, shared car membership services as an alternative to ownership. If you consider the additional cost of interest on a financed car, insurance and parking, let alone regular maintenance and fuel, these membership services can result in substantial savings for the infrequent driver. Another economic trend is the number of grocery stores popping up in urban centers, a welcome development for urbanites who for years have lamented the lack of stores offering quality, reasonably priced food options. Cities such as San Diego, Milwaukee, and St Louis have all been at the forefront of the movement to offer urban style grocery retailers to their growing central city base. Flexible office space options for telecommuters and entrepreneurs represent another emerging development to meet growing needs for cost effective, convenient workspaces. These coworking environments appeal to developers, writers and other independent creative sorts seeking to collaborate with like-minded people in a non-traditional office setting. Work settings like these appear to be most popular in areas such as Denver, San Francisco, New York and Toronto where there are dense clusters of professionals that thrive on idea incubation and social connection. In the end, though, the biggest prize for those who embrace urban living are the wealth of opportunities for civic connection and community. As our nations cities make significant strides in repurposing their urban core, growing numbers of people are discovering of the cultural, social, and leisure advantages that density rich living affords. And you can’t put a price tag on that. For me, there is nothing more exciting about the Obama’s presidency than his decidedly urban lifestyle. I am particularly captivated by the thought of him using his current residence on the South Side of Chicago as his place of retreat from the hustle and bustle of 1700 Pennsylvania Avenue in D.C.
As a child of urban environments, imagine my glee when in a recent interview with the Chicago Tribune Obama made it abundantly clear as to where his place of retreat would be. “MyKennebunkport is on the South Side of Chicago,” he commented. Kennebunkport (Massachusetts) by the way was the preferred hideout of former President George HW Bush. And of recent times, his son George W. Bush found solice in a town called Crawford, Texas, likely the last place you’d find someone like Obama wanting to hang out. Of course, Obama will have access to Camp David, the U.S. Presidential retreat nestled away inCatoctin Mountain Park in Maryland–a place that somehow that just doesn’t seem like his cup of tea in terms of the urban culture he has grown so comfortable with. But the South Side of Chicago? Anyone who hails from the Windy City knows that this part of town conjures up some interesting opinions depending on what side of the tracks you grew up on. For many, the South Side symbolizes a lower class, industrial, crime-riddenoaisis of abandoned houses and shuttered up school buildings. It also carries the vestiges of segregation–a reality that has lead many urban experts to mint Chicago as the most segregated major city in the United States. It short, thecliffnote version reads as follows: People of color are expected to live on the south side of Chicago while others live on the preferred north side. I recall an African-American friend of mine, a radio station executive, who was moving from Washington D.C. to Chicago a few years ago calling me in total disgust over his realtor insistence on him touring homes exclusively on the South Side. As a Chicago area resident at the time, I shared with him some of the unfortunate realities he would face in a city where these sort of perceptions run rampant. Enter Obama’s neighborhood. 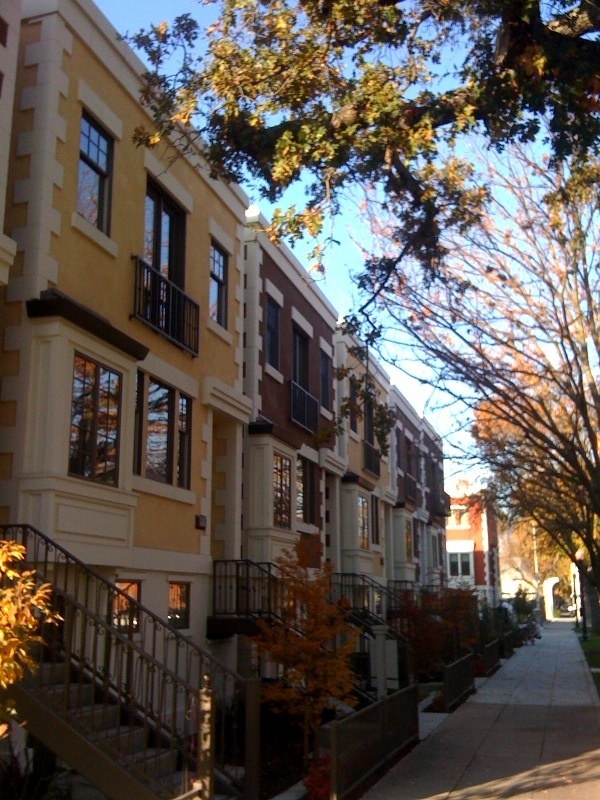 Known as the Hyde Park-Kenwood area, it is often affectionately referred to the “Other South Side” to people who are familiar with it. Uniquely diverse in it’s racial, ethnic and cultural makeup, it features million dollar homes surrounded by some of the city’s most impoverished neighborhoods. Home of the University of Chicago, an Ivy league calibre institution, the area attracts many high brow intellectuals who find comfort in a diverse community brimming with progressive ideas. Obama first moved there in the early 80’s as a community organizer and then returned once again after attending Harvard Law School. He then met his wife Michelle who grew up in the nearby South Shore neighborhood. Word has it that they shared their first kiss at the Hyde Park area Baskin Robbins located at 53rd and Dorechester. But why would Obama chose this as his place of retreat when he has so many more remote, low profile locations at his disposal? Because Obama is truly urban at his core–his family ties, homeboys, local gym, and barbershop are all a part of the Hyde Park-Kenwood neighborhood he will always call home. This is the area where he established his reputation as a community organizer; where he and Michele built a wonderful family. As I see it, his desire to stay connected with the neighborhood that brought him this far, and that he is most comfortable with, will allow him to make history as the most urban engaged President in our nation’s history. One of my most meaningful experiences as a graduate student at The University of San Francisco was the Economics and Finance course that I took during my second year. The instructor, a widely respected authority in public government, took a real interest in my burgeoning interests, suggesting at one point that I might want to explore, among other possibilities, a career as a City Manager. Just so you know, the crowd is defined as you, me, anyone who has a bright idea or solution to problems that ail our urban areas. And certainly during these turbulent economic times, cities have plenty of these issues to address. Author James Surowiecki in his book The Wisdom of Crowds was among the first to explore the superiority of collective intelligence over a few supposed experts. Now Jeff Howe has taken this concept to another level suggesting that the power of many can be put to good use in achieving breakthroughs that only a specialized few previously had control over. Crowdsourcing as defined by Howe involves taking something performed by a designated agent and turning it over to a group of people–a sort of open call to solutions that produce more efficient, better outcomes. This is where the private sector is light years ahead of the public sector in terms of applying these principles. Many of the science and technology innovations of the past ten years or so have come to us by way of a concept called open source where the collective intelligence of the masses is embraced over the often self interested, myopic plans of a select group of individuals. This movement is largely being driven by a new breed of web portals on the Internet that serve as gathering points for information shared by the masses. Perhaps the most well-known of these is InnoCentive, a website that began in 2000 as an in-house incubator of knowledge for the pharmaceutical giant Eli Lilly. It has now morphed into a world wide organization that links companies seeking innovative ideas from grassroots contributors–individuals who participate for personal reputation, financial incentive, and pure “love of the work” reasons. So the operative question is whether cities in a similar vain can capitalize on ideas offered by groups of people to create new solutions to urban issues such as housing, transportation, and schools? I would suggest that a city like Vallejo, California, located 35 miles northeast of San Francisco, whose fiscal woes sent it into bankruptcy, certainly could. And what about New Orleans, stilled mired in a rebuilding effort after Hurricane Katrina. Once the nations third largest city a century and a half ago, it has now lost one-half of its population since Katrina’s wrath. What’s unfortunate about these and many other urban problems facing our nation is that the seeds of the solutions lie in the collective intelligence of our citizenry–ideas that could yield a positive outcome if the mechanisms were in place to give them credence. For example, a retired business leader from the private sector may have a innovative new way of looking at economic development. Or local residents in a distressed area may have witnessed inefficiencies in city services that could serve as a catalyst for addressing ballooning city expenses. Even our urban youth may have a congruent thought or two on how to address the social issues that plague their demographic. As Howe and others have suggested, the Internet provides an ideal laboratory for collecting and disseminating information thereby fostering new solutions to the pressing issues we face. Fueled by the belief that city governments can no longer resist broader participation from its citizens, web organizations are sprouting up at an unprecedented rate, engaging users in their efforts to offer creative ideas. And on the coattails of President Elect Barrack Obama’s accendancy to the White House online collaboration is exploding as citizen increasingly are seeking to have their voices acknowledged and heard. The National Coalition for Dialogue and Deliberation and America Speaks are among those organizations successfully utilizing an online presence to foster a more participatory climate–one that supports our urban and regional centers. There is also the Portland, Oregon based Charrette Institute that has long been on the forefront of promoting public participation on a local and regional basis. Reading Nicholas Taleb’s bestselling book The Black Swan: The Impact of The Highly Improbable was pause for reflection about what’s happening in the transportation industry these days. A Black Swan, according to Taleb, is a highly improbable event that occurs consistent with the following variables: it is unpredictable; it carries with it a massive impact; it leads to explanations after the fact that attempt to make it appear less random, and more predictable than it actually was. Taleb goes on to imply that errors in planning and strategy often occur as a result of focusing too heavily on those things that are predictable while underestimating the power of the less obvious. Taleb’s point by analogy is that no matter how many White Swans exist in the world, there are always “Black” ones that can create a seismic shift in our worldview. This is the scenario that appears to be playing out in the transportation sector as fuel prices continue their unprecedented upward trajectory. So, you ask, what is the the Black Swan? Can you say “soaring fuel costs.” The result? Commuters are switching from cars to public transportation in record numbers; domestic airline carriers are reducing flights as well as raising fares and fees; fuel efficient vehicles are flying off of car lots. So what does all of this mean? I believe we are beginning to see a fundamental shift in how American’s view and use transportation in this country. Case in point–Public transportation which had been perceived in some circles as primarily an option of choice for blue collar, working class populations is now becoming the means-to-an-end for many middle and upper class Americans. The American Public Transportation Association, in fact, estimates that Americans took 2.6 billion trips on public transportation during the first three months of this year, an uptick of 85 million more trips compared with the same period last year. In the meantime, American’s drove 1.4 billion fewer highway miles from April 2007 to April 2008 according to recent figures from the U.S. Department of Transportation. Another profound shift that we are seeing is that American’s are moving back into central cities in large numbers– a reversal from the suburban sprawl trend that we have been seeing for decades. Much of this is tied to the desire, on the part of many, to reduce commute times, by bringing their work and home into closer proximity. This shift opens up many options in terms of alternative forms for commuting, such as bicycling, walking, and light-rail–all positive steps in terms of reducing our carbon footprint as well as creating healthier communities. I believe that the most significant “Black Swan” that we are likely to see in terms of transportation is the end of the airline industry as we know it. Rapidly rising airfares and add- on-fees are making it virtually impossible for the average middle income American to afford to book a flight. This trend is likely to worsen in light of flight industry estimates that domestic carriers will reduce their number of flights by at least 10% before year end.